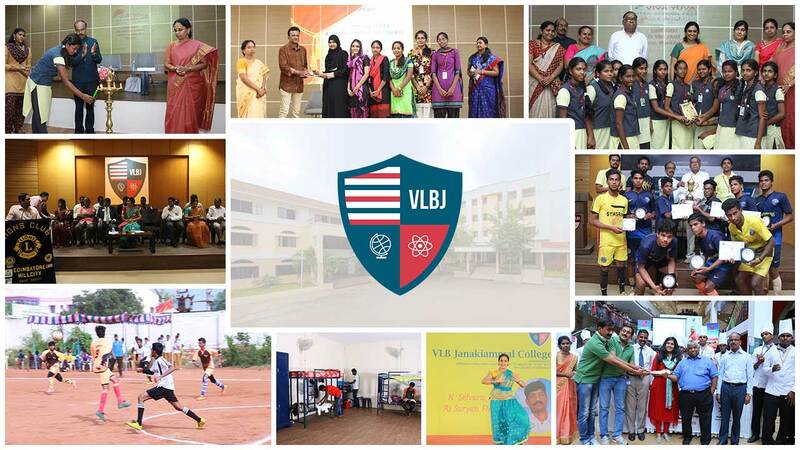 VLBJCAS is a vibrant, creative and ambitious educational institution, known for its historic charm and cosmopolitan community. The institution is unique, with its location at the top residential area in the city with a pleasant climate throughout the year. It also has facilities like broad e-campus, which includes lecture halls, classrooms, laboratories, social spaces and eateries. The friendly teaching and non-teaching faculty members ensure high quality of learning environment and are ready to help the students through their time here at the Campus. Free wireless internet access enabled campus and residential hostel. Plastic free campus, hygienic restrooms, composting and re-cycling of waste to maintain environmental sustainability. Located in one of the top residential societies in Coimbatore, the college enjoys great transport links with regular & direct bus services accessible by public transports or by using the secure GPS tracked college transport system shuttling to various parts around the city. 24x7 electricity supply backed up by generators and UPS facilities to keep the campus powered and bright throughout. 24x7 water supply with RO facilities for safe drinking water. Lift facility for quick and easy access to different college resources, and Ramp Facilities at various locations within the campus for the physically challenged.